A few years ago if you asked me what I thought about downhill skiing, I would've shook my head and said "Not for me!". So it's not a surprise that when I share my love of the sport with fellow prairie flatlanders, the response is much the same. Luckily, not all of us are scared of flying down hills with boards on our feet because without the encouragement of family and friends willing to try the sport, I wouldn't have been introduced to one of my favourite winter activities. Last month we packed up the hatch with gear and headed out on a 4 hour road trip to Manitoba's answer to the mountains, Asessippi Ski Area and Resort! 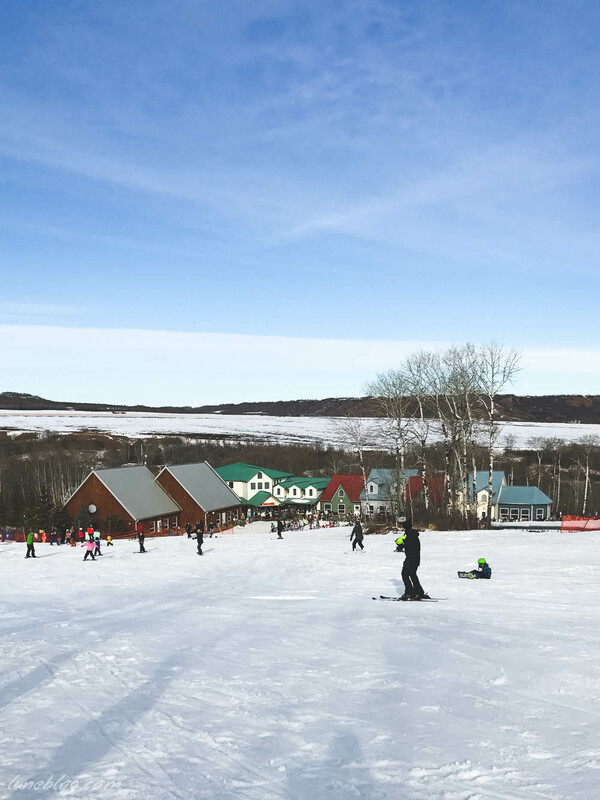 Situated within a river valley in Western Manitoba's Asessippi Parkland, this ski resort boasts the highest elevation and longest runs, number of lifts and routes. I wasn't sure what to expect and was very impressed. 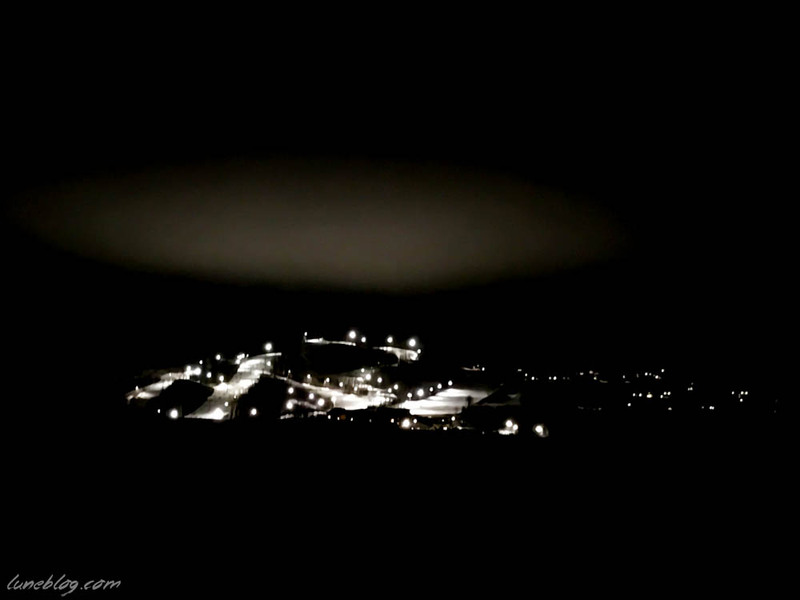 If you're going to ski in Manitoba, this is definately the place to go. Luke and Todd were able to snowboard / ski the whole resort. I stuck to easy and intermediate runs and found them to be very fun, taking long enough to complete to make the ride up the chair lift worth it. There's even a burger shack mid route where you can stop for lunch right on the hill. The variety of runs and amenities at the large village lodge make it easy to spend a weekend at Asessippi without a moment of boredom. 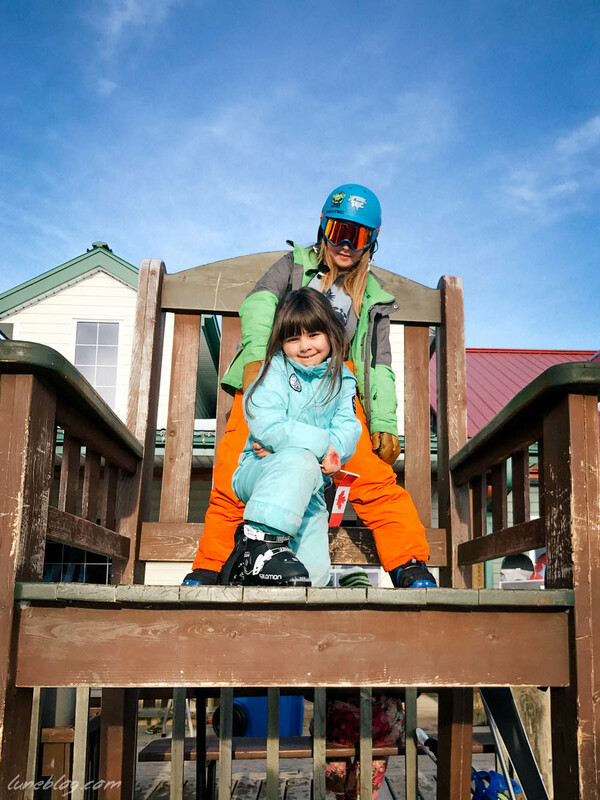 Eve is learning how to ski, so Todd and I took turns with her on the Bunny Hill. The magic carpet here is looooooong, but very easy to get the hang of. After a couple times Eve was able to get on and off without our help. The very gradual slope offered just enough challenge for beginners without being intimidating, and was long enough to enjoy the ride down. On day two we invested in a handy little device called Edgie Wedgie Ski Clips. That helped her keep that snow plow stance. Actually, we say Pizza for a wedge, and French Fries for parallel skis. There was a lot of yelling "PIZZA! PIZZZZZZAAAAAA !!!" out on the slope that day. She's no quitter, so we hope a few days at Big White during spring break will move her along on her journey to ski. I can't wait until she can ride the chair with me! Winter is nearly through, and I have to say I didn't feel a hint of the winter blues even once this year! That's pretty incredible since I've always had a little struggle with that. The winters here are so long and cold. I credit a lot of outdoor fun skiing and skating to making winter a season to enjoy and even look forward to! I was 35 before I even tried skiing, so if I can get into it, anyone can! Whatever it is that you choose to do, just get outdoors and find something that makes you feel good, healthy and happy. A bit of a challenge can go a long way in life. Sidenote : We own some of our gear but rented the rest at Sampsons Sporting Life Winnipeg. Their rental rates are very good, and the gear was current and in great shape. You can also rent right at the resort, but since it was the long weekend, we hoped to skip the rental lines and just get right on the slopes, which worked out perfectly.